Denise McNally (BSc Hons, Mbpss, MAC, MOC, MSFTR) is an established and respected Life Coach and Holistic Therapist. Denise adopts a whole person approach, all aspects; physical, emotional, psychological, social and spiritual are embedded into her client approach. 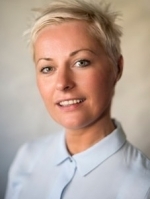 Denise is a Graduate Member of the British Psychological Society and a full Member of the Association for Coaching, Open College and the Sherwood Foundation Therapists Register. Denise has 9 years coaching experience, delivering personal development and confidence building at an individual and group level. She has a wealth of experience working with people and organisations from the public, private and voluntary sectors. She understands the psychology of coaching and is proficient in the use of a range of advanced coaching techniques and models and their application to life, health, business and relationships. Tony Robbins UPW (unleash the power within), Excel, London. Denise works with all age groups ranging from teenagers to seniors, individuals and couples. Denise's work has a particular emphasis on NPD narcissistic personality disorder and the debilitating affects this has on individuals, groups and society as a whole. Denise has featured in many local and national press and is a regular Life Coach guest on a range of BBC broadcasts from Good Morning Ulster, Radio Foyle News and Talk Back debating on a range of diverse topics from how to deal with failure, how to be happy and beating the New Year back to work blues. Denise's success as a coach is based on her empathic, intuitive, heart-centred approach that guarantees breakthroughs for her clients - she really cares. She works with her clients in an objective, supportive, challenging and non-judgemental way, to help them overcome challenges and achieve their goals. Denise has attracted a global client base as well as connecting successfully throughout Ireland and the UK. "Working with Denise for 7 months has been life changing. I came to her with shattered self belief and an untrue perception of who I was although I didn’t know this on our first session. I had experienced post traumatic stress disorder (PTSD) after leaving my military career but that was some years ago and I thought it was behind me. Despite the avoidance of anything that would remind me of my traumas and the ongoing nightmares I believed my body and mind had largely healed, however, I wasn’t coping well in my daily life so I sought support. I was sceptical because I had undergone a number of unsuccessful therapy approaches in the past but I knew I was slipping into a depression and couldn’t manage alone. From our first session Denise brought a calming, patient and encouraging approach. She was able to connect quickly and begin work with me on a process of self identity allowing me to fully acknowledge and accept the work I needed to do to recover. She tapped into my inner thoughts and formulated the root cause of problems, suggesting ways to work through difficulties. What I didn’t expect was that I needed guidance in my personal relationships as well and Denise brought clarity and helped me identify changes I was ready and willing to make in my life. She continues to support me through these. Every session was about self enquiry in a therapeutic and eye opening way and at a pace I was comfortable with. Denise assigned homework to ease me forward, to get me to a place where I could feel positive and take on the more difficult challenges of recovery. However, I had to work hard at it every day but Denise was always there just a text or email away and her response time to my needs was impressive and reassuring. I’ve grown spiritually and healed mentally thanks to Denise , although our work is not yet done. No amount of words in a testimonial can express how valuable Denise has been in my start to recovery or how she has impacted my life in positive ways I did not envisage. I have experience internal growth and understanding I had not expected and I can’t tell you how beneficial this coaching has been. Denise will remain part of my life as I continue to grow and heal." "Finally I'm in the 'flow' and it feels amazing... and all this after only 3 sessions with Denise! Denise is an experienced and focused professional, who has a gift to connect on a deep level with so much ease. And what makes each session truly an enriching and wonderful experience is her compassion, her openess and specially her witiness. Can't wait for our next session, because I know this is the beginning of my new self... and there are so many more fantastic surprises waiting for me. Can't thank you enough dear Denise." "Denise brings impressive amounts of compassion, intuition, integrity, sincerity, warmth and positivity to her coaching. She uses these gifts to challenge you to dig deeper to tease out the under-the-surface issues. She also creates an uplifting environment where you feel supported and listened to at the deepest level. I cannot thank Denise enough for her guidance." "Denise is an exemplary coach with an upbeat manner and a very positive outlook. She instantly won my confidence with her professionalism and clarity, and made me feel immediately at ease. Denise helped me to discover and identify some of my thought processes and behaviours which were driving my lack of self-confidence. She guided me, without leading or prompting, through the course of working things out for myself in a comfortable and open manner. She can empathise with my situation, but also challenge me to dig deeper and find my own solutions. She is able to strike a unique balance of careful listening with sharing her wealth of experience and ideas. She quickly pinpoints the crux of a situation and does not fail to leave me with helpful insights, ideas or questions to ponder. I have developed an entirely new insight into myself and some solid action steps which are helping me in all aspects of my life. I wholeheartedly recommend Denise to anybody looking for support or guidance, and I can testify that her skill and expertise can truly transform anybody who is willing to change." "When I first started working with Denise I knew immediately that her style of coaching was going to be an asset to my personal growth and the expansion of my new business. Denise firmly guided and supported me through the practical steps of business proposals and actions plans. She held the supportive space for me when I felt overwhelmed and out of my depth. She was my number one champion when I doubted myself and my work. I’m delighted and honored that Denise has been my coach during a special, sensitive and important stage of my career. I won’t hesitate to use Denise’s coaching when I need any type of support as my business grows because not only is she a true professional, she is also a kind and generous woman who uplifts, inspires and supports me during every session"
"I first met Denise when she was hosting a session of classes. From the first moment I met Denise, I found her to be warm, welcoming and grounded. Over the group sessions, I also found her to be enthusiastic, a good listener, human, non judgemental, knowledgeable, inviting and most of all a breath of fresh air. Sessions with Denise were a turning point in my life and she has been instrumental in where I am today which is the happiest I have ever been. I couldn't recommend Denise enough. She is a very empowering lady and I will never forget her. Denise's sessions were one the two positive elements I was crying out for in my life and instrumental to my recovery from a very dark place I couldn't understand. The relationship I was looking for was the one with myself and found it, thanks to Denise"
"Where do I start :) ...I have just recently had my last 1-1 life coach session with Denise. I made the move to contact Denise one day while I was off work during a very bad spell of depression. I was at my lowest that day but I can honestly say that after chatting at length with Denise on the phone and arranging a time for my first session I finally felt I had 'hope'. I feel Denise from the onset understood me and my needs and was so easy to talk to. I had been through the hardest 3 years of my life and had hit a brick wall. Denise I feel helped me to actually love myself again, to realise that I AM worthy of happiness , love and contentment and so much more. I always left our sessions feeling so empowered and enthusiastic. And that is an amazing accomplishment for me. I feel now that my life has just begun. I feel 'happy for no reason' which was one of my goals. I've crossed hurdles since with a sense of pride. I cannot thank Denise enough and would encourage anyone who can relate with me to get in touch. I am very excited now for what my life has in store for me. I'll never forget in my first conversation with Denise I excitedly said to Denise. "I think you are going to be my lifesaver" to which she replied...... "No, you are your own lifesaver" What more do I need to say." Denise’s style of coaching is positive, professional and authentic. She had a fantastic ability to make me feel at ease in her presence where opening up and discussing my inner most thoughts and issues came naturally. During the sessions she skilfully and quickly unpicked my limiting beliefs working with me and challenging me to identify the changes that I needed to make to live a fuller, happier and more content life progressing in key areas. For too long I had felt stuck in certain elements of life! I needed to move forward but didn’t know how... well that is until I met Denise! These sessions covered all aspects of life whether work or personal. After each session I felt more clarity and she gave me the tools to progress after each session in a positive way. Our brainstorming sessions also gave a fantastic opportunity to bounce ideas off a like minded person in a non judgemental environment. I wholeheartedly recommend Denise for the work she does. She is highly competent, professional and one of the most genuine people I have had the pleasure of meeting. My time with her has been invaluable.